There is no mystery and intrigue when defining the primary function of an address is to locate or identify a property. And although we often take addressing (hereto defined as the process of assigning and using addresses) for granted, addressing provides an essential function to all. This is evident in daily life where addresses are used by individuals, corporations and governments as they interact and conduct business. Common examples across this spectrum are the delivery of mail and packages, police and fire departments responding to 911 emergency service calls, and generally navigating the areas we inhabit or visit. Addressing is the fuel that make our cities, towns and villages run clean. that are not duplicates of existing addresses. There is no single authority overseeing address within NYC. Addresses are assigned in New York City by the Topographical Units of the respective Borough President’s (BP) Offices. That is, the Queens BP assigns addresses only within Queens and so forth. NYC DoITT provides a secure web-based application for BP’s to make address and street name assignments. The application ensures centralized storage of address assignments; notification to responsible parties (911) and consistency of address assignments across boroughs. 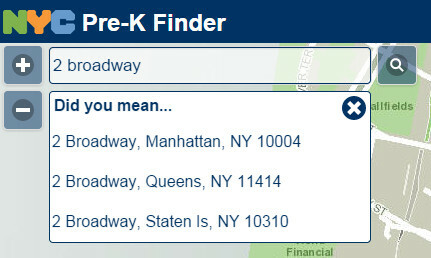 It sometimes seems as if NYC has each and every possible address anomaly although that is most certainly not the case. 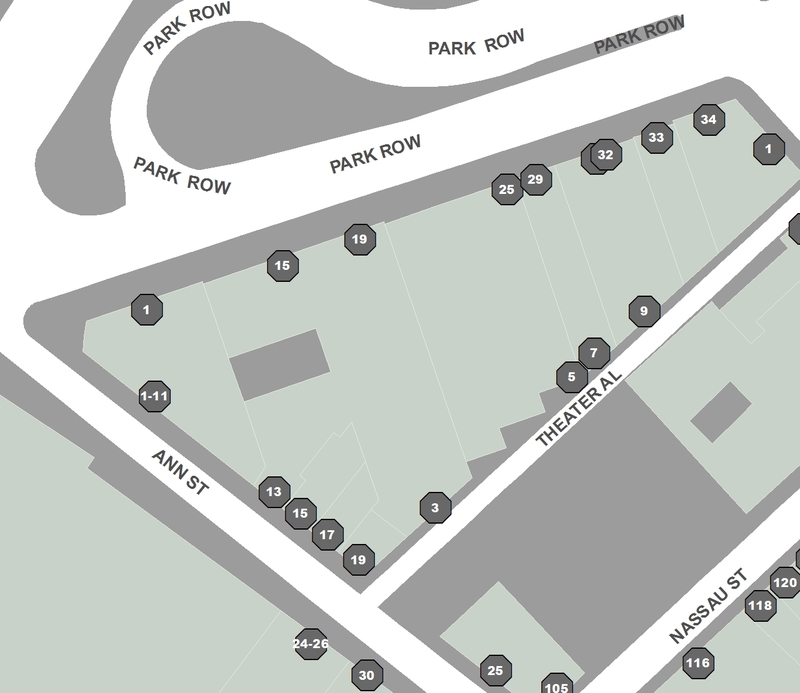 Below are just a few types of the address anomalies in NYC. Vanity Address: an address for a building that uses a street or place name on which the building does not front. The figure below provides an excellent an example as well as the challenges vanity addresses pose. 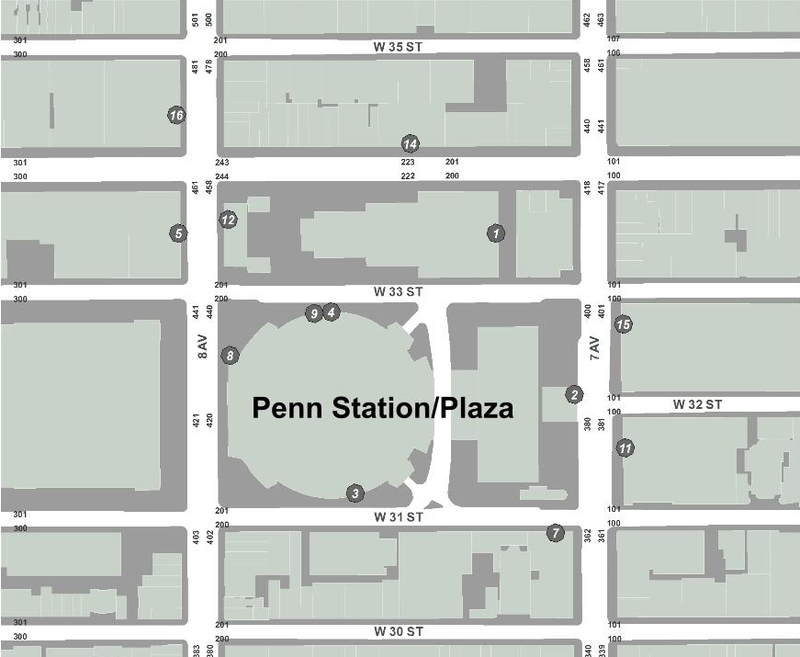 Imagine trying to find 16 Penn Plaza while standing in front of 2 Penn Plaza. Hyphenated Address: often referred to as Queens-style addresses, a hyphenated address has a hyphen in the house number (e.g., 70-111). The left side of the hyphen represents the nearest cross street exclusive of avenues and the right side of the hyphen represents the house number. Edgewater Park: a gated community in the Bronx, Edgewater Park is divided into alphabetic sectors (A, B, C…) which are used in lieu of a street name for addressing. Geosupport uses Edewater Park as the street name to avoid confusion to the extent possible. An example of an address 111C Edgewater Park. See figure below. House number containing fraction and letter: 138 1/2 B Edgewater Park, Bronx. There are two primary methods for modeling and managing addresses in a geospatial database. The first is by street, which is commonly referred to as a street centerline. This method models the high and low house numbers on a street segment (i.e., block) for each side of the street. Geocoders then interpolate an input address proportionately between the high and low house number range on the respective side of the street. Geocoded addresses using this method are approximations of actual addresses and include hypothetical non-existent addresses. The second, and more recent approach, is to represent each individual address, which is referred to as address points. For this method, each and every address is modeled generally within the building the address falls. Both methods are used by NYC and both data sets are available to the public. 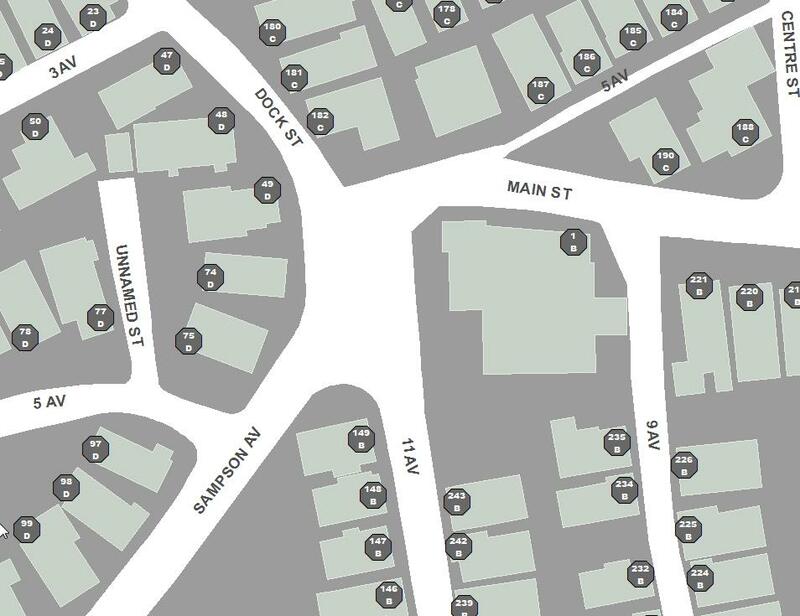 Address points is a geospatial dataset that models the approximate entrance of a building and includes the properties signed address (house number, street name). Address points were developed by NYC DoITT and completed in 2012. The data were subsequently released to the public in 2013. Since that time the data has been released on a quarterly basis. CSCL, Citywide Street Centerline, models only physical streets and does not have duplicate segments for cases where there are alternate street names. LION – an extract from CSCL that includes both roadbed (modeling of dual carriage ways) and generic (modeling a single line to represent dual carriage ways). LION provides both to support legacy use of the data. In addition, LION has duplicate segments for each alternate name of a street segment. Address points – a point representing all known addresses.